I really enjoy teaching this verse, James 5:13, to my girls. There is great application to teach in everyday life. And as I endeavor to also pray and sing praise during my daily life, I grow with my daughters. 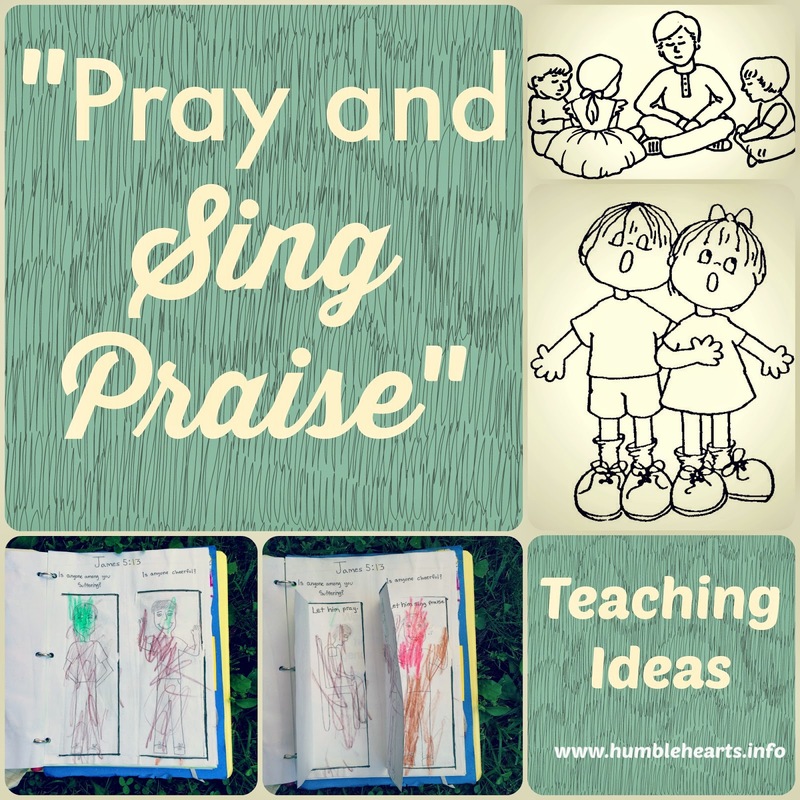 Song: Take turns with your child picking songs to sing that praise God. 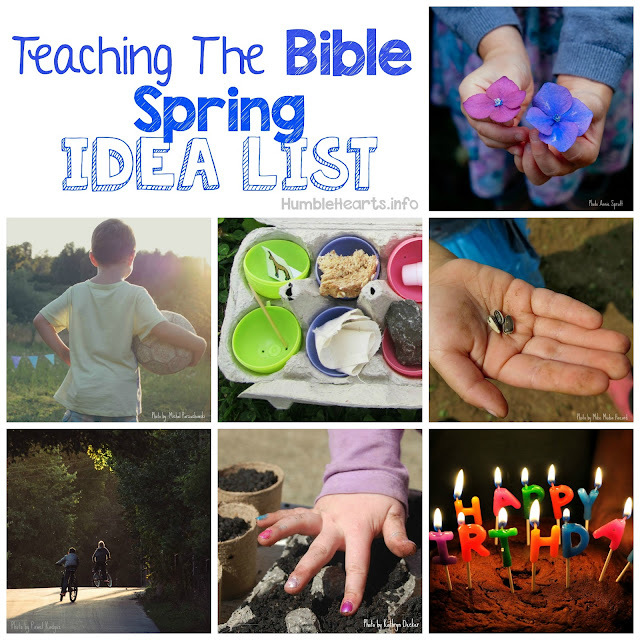 Refer to the Children's Bible Songs Page for ideas. Supplies: Bible, puppet (see note below on the puppet), Kleenex, print out of the teaching, Page 1 of craft, Page 2 of craft. Parent: I know that you love God with all of your heart. Parent: When we love God, that means we do what His Word says to do. You know that you are suffering, so then you need to pray to God. Puppet: I will go do that right now. When I pray I could thank God for things, like God loves me and I have food to eat. Parent: Hi! How are you? Puppet: I am so good! Whee! God loves me, I have food to eat, and parents who love me. Puppet: I feel cheerful and happy! So what does God say to do? I love God and want to do what the Bible says. Parent: You are to sing songs that praise God. Puppet: But I am not with the Church. 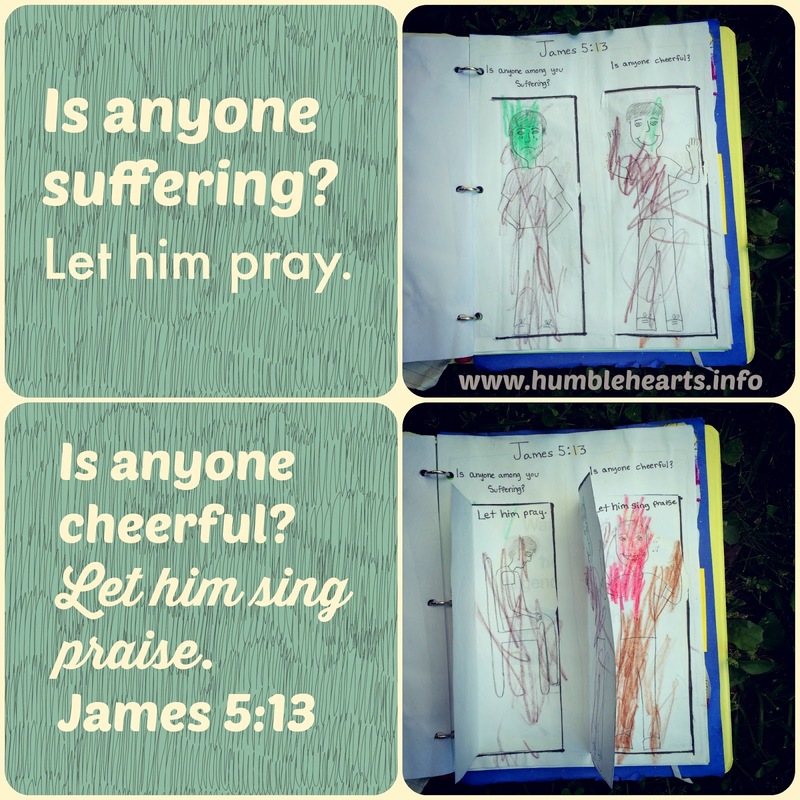 Parent: You can sing praises to God anytime. God tells us to sing praises to Him all day long! Cut on the lines on page 1 to make “flaps” to open. Glue page 1 on top of page 2 so that you can see the pictures through the flaps. Have your child color the people. Look for times during the week that your child is sad or upset. Review James 5:13 and pray together with your child. Look for times during the week that your child is happy. Sing a song together to praise God. If you don’t have a puppet you can make one out of a sock, or a paper bag, or a Popsicle stick. When using puppets when teaching the Bible, I have the puppet's character be really excited about the Bible. At the same time, I maintain that I am the one teaching the Bible, not the puppet.